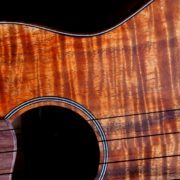 This is Jack’s Cowboy Koa Tenor Ukulele. He specificialy picked out this set koa for it’s color and wild, irregular curl. 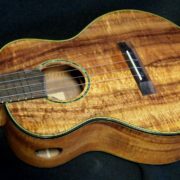 This is another example of salvaged koa from the Big Island of Hawaii. This wood has been used and abused but is still functional and actually produced an instrument that was beyond my expectations. The build was pretty straight forward. 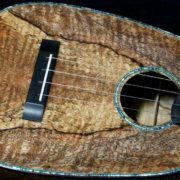 Jack requested the addition of rope purfling and matching chevron back strip which add to the vintage look of this tenor uklele. 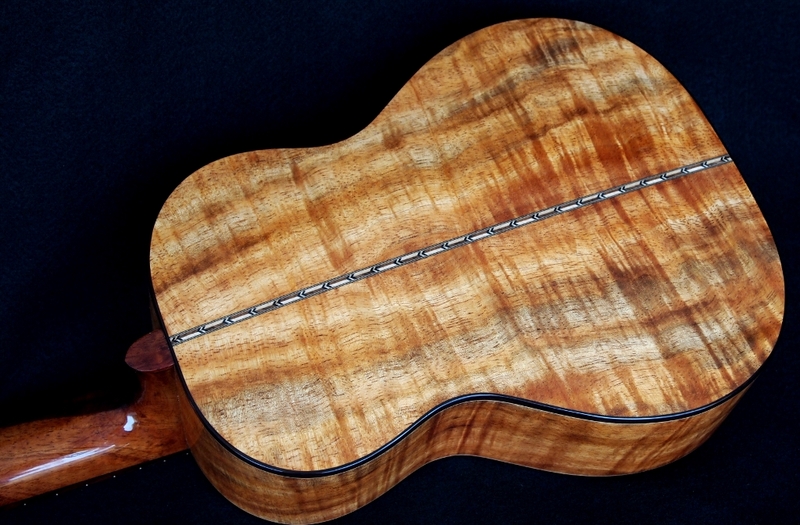 The binding is India Rosewood and the fret boad and bridge are Amazon Rosewood. 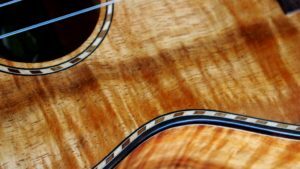 In addition, Jack requested a wider than usual all Koa neck with internal carbon fiber truss rod. 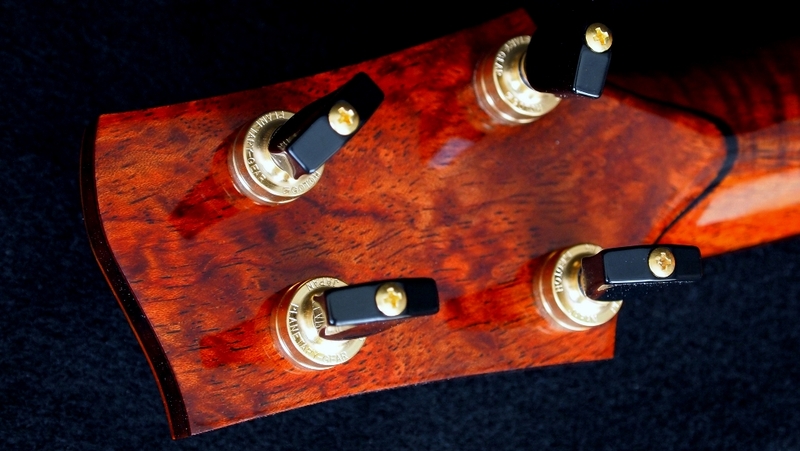 The accent wood is figured African Bubinga. 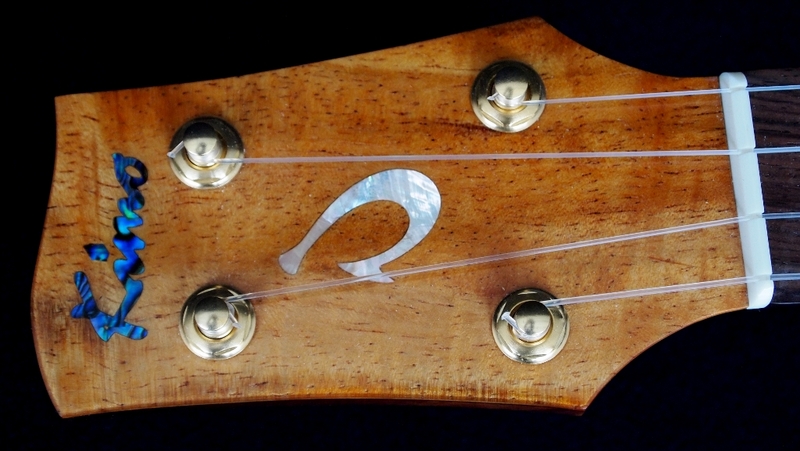 And just for a little fun and something different Jack requested a Makau (Hawaiian fishook) be added to the head stock. The result is an instrument that is really full and mellow with a lot of low end. 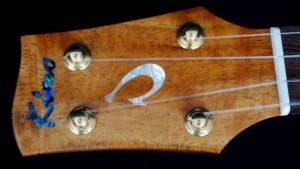 I’m sure that the GHS flourocarbon strings, low “G” helped. 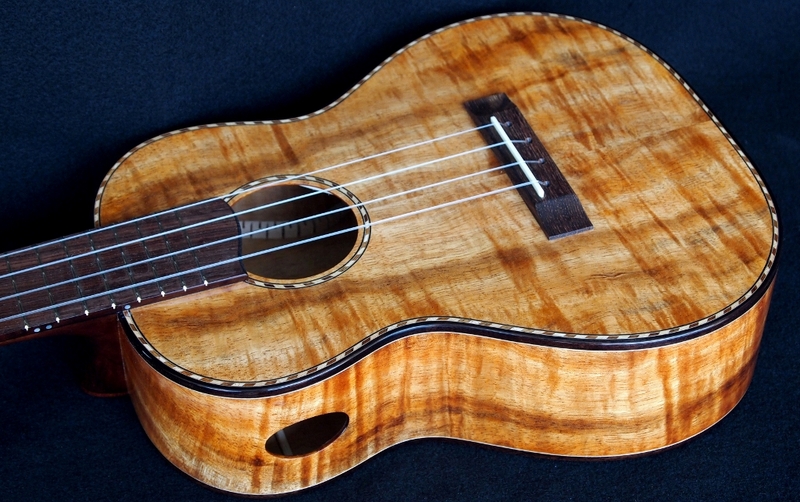 The sound of this uke should definitely sooth those crazy Pipi. YeeHa Ya’ll!